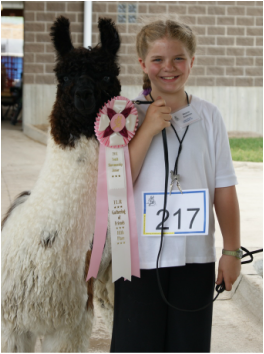 Below is a story in pictures of an amazing bond between a llama and a young girl. We are blessed to have been able to watch this pair! 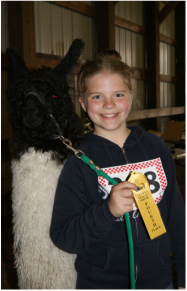 She picked him out from all the other llamas because she said he was special. 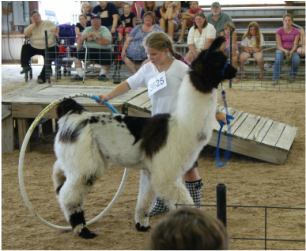 Melanie leased him during this first year, knowing that he would likely be sold. 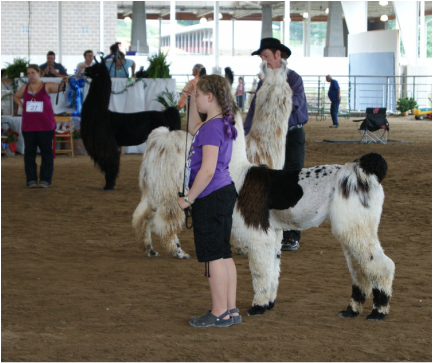 Their first class at the 2011 ILR-SD International Gathering of Friends & Champions! Melanie and Shokie showing off their winnings from performance classes at the 2011 ILR-SD International Gathering of Friends & Champions! 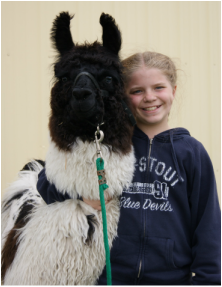 Melanie brought Shokie over to watch some of the more experienced llamas in halter classes. She wanted him to learn from them how to act in the ring. As they stood, he wrapped his body around her. 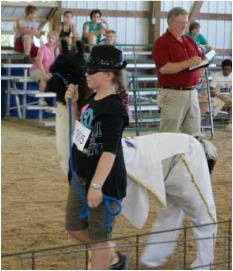 Melanie and Argentine Shok 'N Awe, dressed as Elvis, in costume class at the Winona County Fair. July 8, 2011. 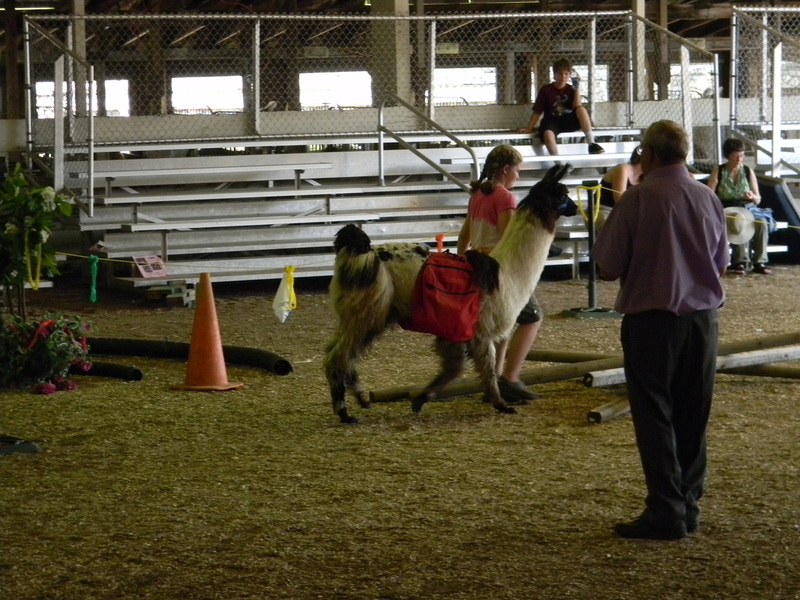 Shokie and Melanie during the obstacle class at the Winona County Fair. July 8, 2011. 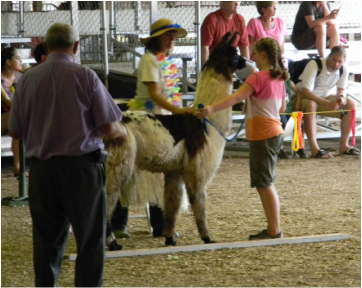 While at the 2011 Minnesota State Fair, Shokie became ill from the heat. 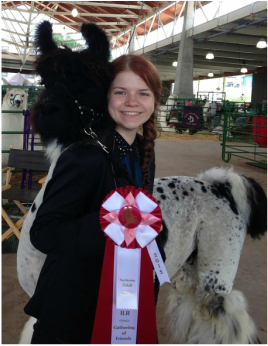 Melanie went into his stall to comfort him. He laid his head on her lap and spent the next couple of hours that way. 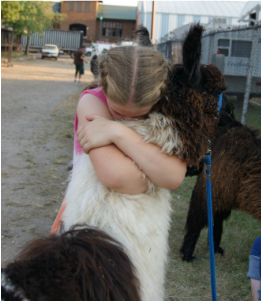 Final hug at the Minnesota State Fair. Melanie did not know if she would ever see Shokie again. It was a very sad day. Betty & Gene Moe invited us to spend our spring break (March 2012) with them in Oregon! 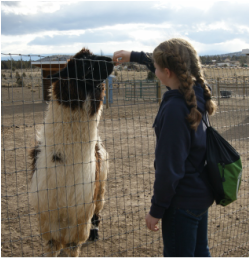 Melanie and Shokie's first contact. Although Melanie worried that Shokie would not remember her, they quickly become reacquainted! Melanie and Shokie on a hike in Oregon. A great way to spend spring break 2012! 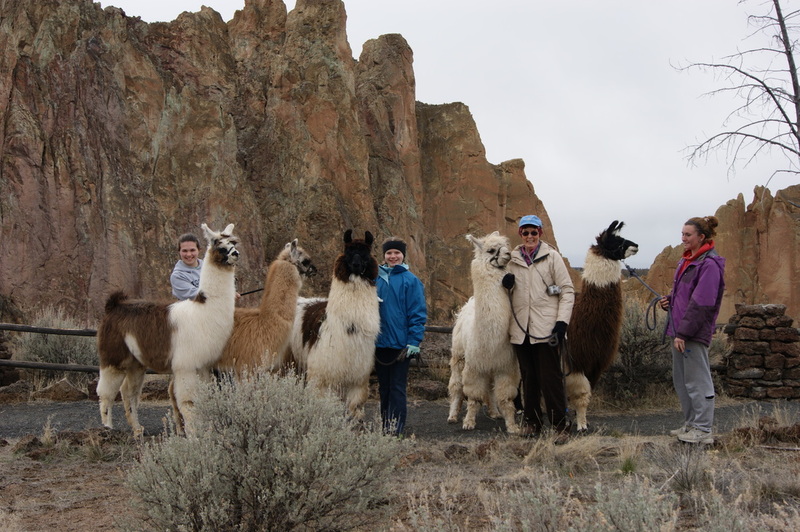 Hiking in the beautiful mountains with Betty Moe and her llamas! 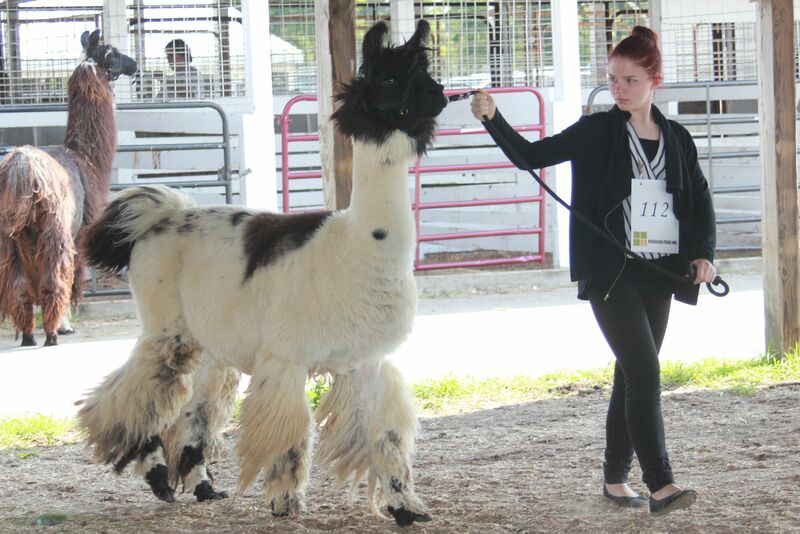 Melanie and Argentine Shok 'N Awe 2nd Adult Non-Breeder at the 2015 ILR-SD International Gathering of Friends & Champions! After being apart for 3 1/2 years, the pair is together again. We are blessed that Betty & Gene Moe allowed us to purchase this wonderful gelding and add him to our family! 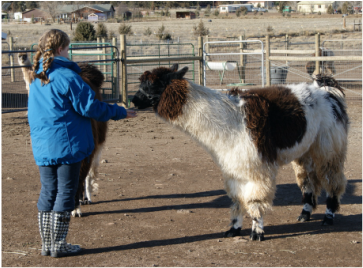 Even though Shokie is a gelding, he feels the need to flirt with the females across the way!